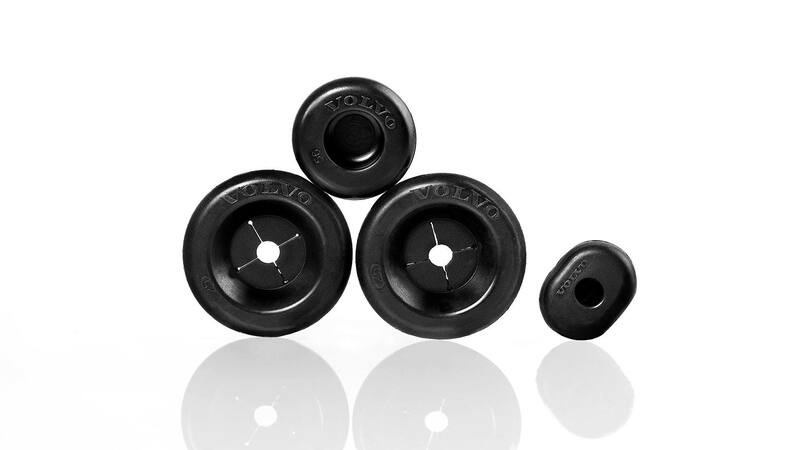 Chassis plugs made from AnVa Polytech’s environmental rubber with Enviro’s recycled carbon black is now used in all of Volvo Cars’ new car models. That was what Axel Edh, Senior Strategic Advisor, Environment at Volvo Car Corporation, told spectators about at Elmia Subcontractor fair this week. – “We converted the product and now it’s being used in all of Volvo’s newer car models. Each car contains between 35 and 70 chassis plugs from AnVa Polytech”, said Axel Edh, Senior Strategic Advisor, Environment at Volvo Car Corporation. Along with AnVa’s Marketing Director Jan Bäckström, Axel Edh talked about their collaboration and how Volvo Cars is now focusing on increasing the use on the environmental rubber which consists of Enviro’s recycled carbon black. – We believe the environmental rubber has a lot more development potential and that it can be used in more products. That will allow us to further expand the product range, said Axel Edh.